With the Boscov’s Berks Jazz Fest covering a third of the days in the month, it was only natural that the fest would partner with the Smithsonian National Museum of American History to help with its annual Jazz Appreciation Month celebration. 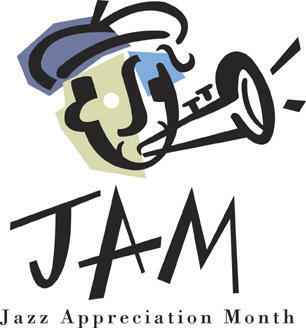 Jazz Appreciation Month, fondly called JAM, was founded in 2002 to recognize jazz as a historic and living American art form. The Smithsonian’s mission is to encourage people of all ages to participate in jazz — study the music, attend concerts, listen to jazz on radio and recordings, read books about jazz, and more. “The purpose of JAM is to draw greater public awareness to the extraordinary history of jazz,” said John Ernesto, Berks Jazz Fest general manager. “Each spring, the Smithsonian schedules concerts, education programs and museum events in Washington, but it encourages all jazz-related organizations throughout the country to participate. In addition to the diverse, comprehensive music schedule, the fest is taking the lead of other cities throughout the country that have designated a jazz day in their communities. Which brings us to the inaugural “Jazz Day in Reading” – which was celebrate Wednesday, April 11. At noon on April 11, the U.S. Navy Band Commodores big band performed in the DoubleTree by Hilton Reading Grand Ballroom. The free concert sponsored by Reading Eagle and Boscov’s provided fans and the uninitiated an opportunity to get a taste of jazz. 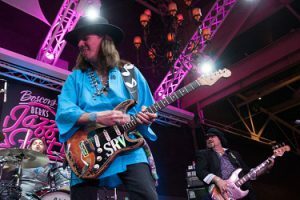 At 7:30 p.m., the traditional Berks Bop Night took center stage at the DoubleTree featuring an all-star lineup of jazz icons — Jeff Lorber, Randy Brecker, Rick Braun, Gerald Albright, Eric Marienthal, Everette Harp, Rayford Griffin, and Brian Bromberg – performing classic bop tunes. Opening for the Bop ensemble was the Berks High School All-Star Jazz Band directed by Gunnar Mossblad. The band featured musicians from nine Berks high schools and is part of the fest’s Get JazzED program. Before the music started, the annual Frank Scott Award, sponsored by the JerLyn Foundation, was presented to Sam Marabella for his life-long contributions to jazz in the Berks community. “It was a perfect Jazz Day in Reading,” said Ernesto. “It had everything – community with the U.S. Navy Band Commodores; education with the Berks High School All-Star Big Band; tradition with Berks Bop Night; jazz history with the presentation of the Frank Scott Award; and local artist performing at local venues. On April 30, JAM concludes with International Jazz Day hosted by Saint Petersburg, Russian Federation, featuring a Global Concert with performances by Herbie Hancock, Chucho Valdés, Cassandra Wilson, Marcus Miller, Igor Butman, Julio Padrón, Richard Bona, Bobby Carcassés and many more artists, in partnership with UNESCO and the Thelonious Monk Institute of Jazz.